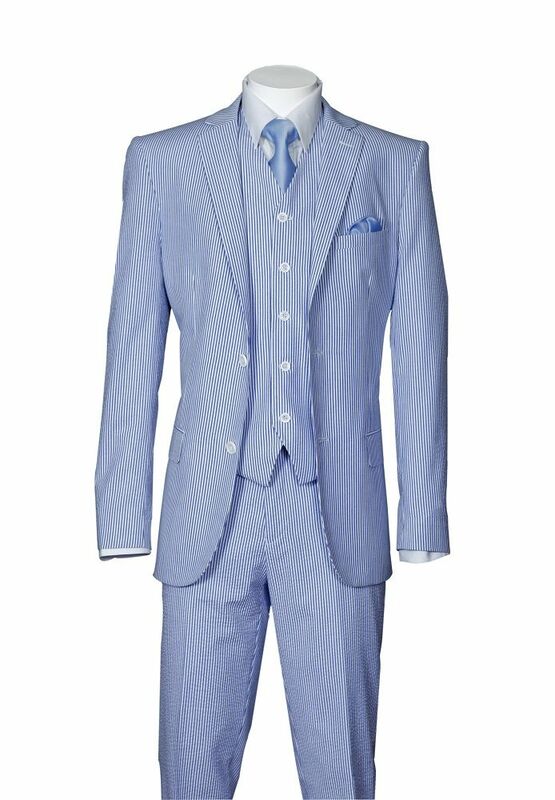 Mens seersucker suits have come back like never before with a selection of colors and styles that men who favor fashion will be more than pleased with. 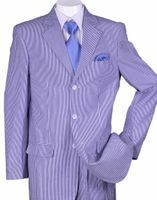 The light weight crinkle style seersucker fabric has been a long time favorite Down South with well dressed men being seen wearing a seersucker suit in order to keep cool and still be well dressed. 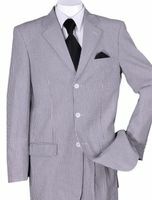 So, if you need some summer suits that hearken back to days of no AC, Mens Seersucker Suits are the way to go when you finish your ensemble with some nicely polished Stacy Adams Shoes. Linen Suits for Men are also great suits for Summer as well. Seersucker has that bygone down South era all about it when a man did whatever was necessary to stay cool during the Summer months which was done with light weight fabrics including the all famous seersucker fabric which features a puckering texture that is designed to keep the heat at bay. Here is where you can find a Pinstripe suit to suit your needs.